Are you considering a house move in Dorset? When choosing a removals company for house moves in the Bournemouth, Poole and surrounding areas, Maidmans Moving & Storage are industry leading professionals, offering high quality home moves along with exceptional customer care. Maidmans has an outstanding customer service record with clients moving to or from the Dorset, Wiltshire and Hampshire area. As a British Association of Removers member, we follow the code of practice approved by the Trading Standards Institute. You will be using the UK’s first company to attain all three BSI quality standards for domestic removals, commercial removals and storage and with 30 years of experience; we go the extra mile! Whether you need a local, long distance or international move. Every job is tailor-made to your particular requirements; we work with you every step of the way,­ solving your problems and keeping you informed. If you prefer to pack yourself, we can deliver packing materials. ­For total assurance, leave it all to our packing service. Our full-time, fully-trained, employees take personal responsibility for your possessions. Value for money,­ professionalism, courtesy and efficiency are your right and they do not have to be expensive. We have total confidence in our ability to deliver; to read what our clients say about us visit Referenceline.com. Custom-made covers for plasma TVs, sofas, mattresses, fridges, chairs, pianos…whatever you need protecting. Protective material to prevent damage to flooring and carpets. Heavy duty cushioning for doors, doorways, banisters and wall corners. Our goal is the perfect move. No damage. Not even a scratch. At Maidmans Moving & Storage we understand that one of the first things you will want to know about your house moves is how much it will cost. Why not request a home visit? A home visit will provide you with the most accurate quotation and is a service offered free of charge with no obligation by Maidmans. By contacting Maidmans one of our experienced house moves surveyors will contact you to arrange a convenient time for your free survey. The survey will allow us to discuss your personal requirements and provide a detailed quotation within 48 hours. If you are moving away from Bournemouth, for house moves our removals network encompasses 16 storage facilities countrywide enabling us to easily move you anywhere in the UK. To arrange a home visit complete the Quick Quote Form use the quote button at the top of this page or call 01202 069537. A: Costs can vary depending on how much needs to be moved and how easy it is to access the properties involved. 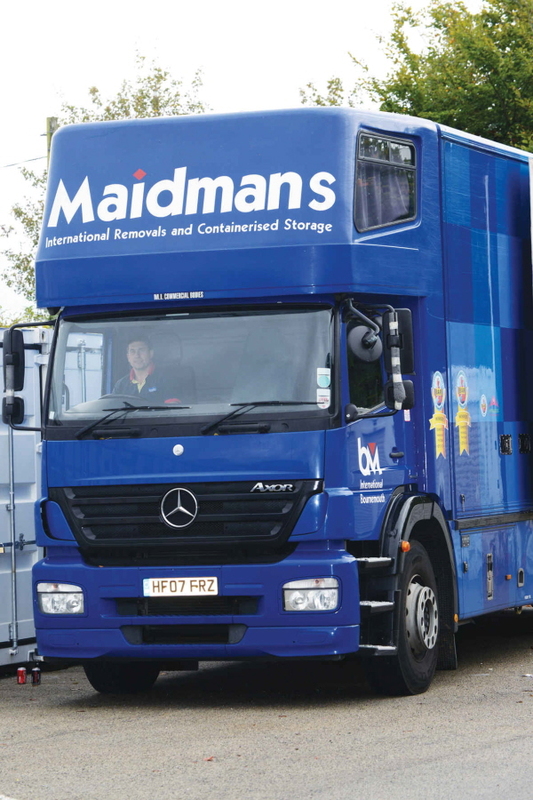 Maidmans will provide an accurate, free, no obligation removal quote. A: As much as possible please. You don’t have to wait until you have exchanged contracts. To speed up the process and make life easier for you, we are happy to quote on a move before you have an exchange date. A: No two customers are alike and no two moves are alike. For an accurate estimate by our professionals, please request a quote. Q:Are my possessions covered for loss or damage? Q: I’m packing the boxes – what about the furniture, appliances and large pictures? A: If you are doing your own packing you only need to concern yourself with the items which fit into boxes. Items such as books / DVDs are heavy so need to be packed in smaller boxes. You also may need to consider furniture which may need to be dismantled prior to your move. Anything else will be wrapped and protected by us during transit to ensure it arrives safely. • Start packing early, it always take longer than anticipated and begin from the top of the house moving downwards. • Valuables need careful wrapping which will take more time – make sure they are completely wrapped in packing paper or bubble wrap. Pillows and blankets are also excellent for use to protect such items. • Always pack heavy items in small boxes to avoid back injuries. • Pack one room at a time and clearly label each boxes with the contents of each room it belongs too. • Clearly label boxes that contain breakables. • Keep all boxes for each room together, this will save time unpacking. • Please make sure you DO NOT pack important documents such as birth / marriage certificates / passports etc. Please keep this in a safe place with you along with any medications also required. A: Irrespective of whether you are packing or we are packing, for hanging clothes we bring wardrobe boxes on your removal days. Soft clothing such as jumpers and socks etc can usually be left inside chest of drawers. Please note under bed drawers must be emptied. Q: What do I need to do in advance? A: If we’re packing – very little, we’ll pack out of cupboards and off of shelves. If you’re packing, you need to have finished the packing before we arrive so you are ready to move. Our Surveyor will have issued a schedule of services to clarify what we are expected to do / not do on the day with regard to dismantling furniture and items which are not to be moved. • Washing machines should be disconnected with drum fixing brackets in place, by you on or prior to the day. • Lofts should be emptied unless we have specifically agreed to do this for you. • Freezers should be emptied and dried. Otherwise they are heavy, will leak water in the vehicles and potentially your items and your food may defrost. When it is delivered it should be left to stand for a little while before being plugged back in. • Washing machines & dishwashers should also be emptied and disconnected. • Remove any wall fixings i.e. TV brackets and all curtains you are also taking. • Unplug and label any wires relating to electrical equipment to prevent confusion at your new property. • Parking – If parking is an issue, you must arrange for sufficient space outside your property for the parking of our vehicle. Please bear in mind that you should leave enough space for the parking of the equivalent of a double Decker bus (approx. 5 car lengths). • Items not to go such as important paperwork and keys need to be placed out of the way. Our crew work very quickly and we do not want to load anything onto the van which you need to keep on you. Following your move, please keep all boxes and paper clean and dry until we are able to collect and recycle them. A: We ask for a 25% deposit payment upon booking your removal date and receiving your acceptance form. We then require the remaining monies the previous working day before your move is due to start. We can accept debit / credit card payments over the phone or a Bank transfer. If you want to pay via cheque this must have cleared in our account before your move starts. There are many parts to a successful move; planning will help you to do everything in a sensible order. Maidmans moving and storage have many years experience in removals and storage from the Bournemouth Poole and surrounding area. Please read our Moving Home Checklist to help you. Your are welcome to add or remove items to the list. To leave all the hard work to Maidmans… Request a quote for home removals in the Bournemouth Poole and surrounding area. • You can expect an initial phone call from us to discuss your move. • We will visit you at a convenient time to find out what your move involves. • We will talk you through all the options. • Our team will send you a fully itemised quotation and an acceptance form. • You sign the acceptance form and send it to us with an agreed deposit. • Our fully trained professionals can do all your packing or if you choose to pack yourself – we can help by delivering all the quality packing materials you need. • On the move day we will load all your possessions into our vehicles. • If we are storing for you we will deliver your possessions to our secure warehouse and safeguard them until you need them. • When your new home is ready we will deliver your possessions to your new address and unload them with the same professional care. If you have any further questions, please do not hesitate to contact us on 01202 069537. All house moves are unique. following a home visit Maidmans will provide you with a fully itemised quote. In the mean time you may find our quick estimator useful to get a rough guide to moving costs. 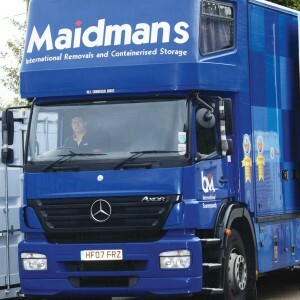 Maidmans operate a fleet of vehicles for all types of moves. House moves: Are you moving nationwide? House moves further afield, within the UK, calls for expert professional knowledge. Maidmans is a member of the British Association of Removers so our nationwide removals service is second to none. We believe your possessions should be fully protected every step of the way, no matter how far the journey. We project manage your entire move, getting involved as early as possible even before you have a completion date. Should you choose we can carry out or advise on packing and storage solutions from the home you are leaving to the home where you are going to.